I am not a huge world traveler, but I have been fortunate enough to visit Hawaii. Hawaii, specifically the island of Kauai, is my favorite vacation destination. There is something about the sights, sounds, smells, and tastes of Hawaii that mesmerize me. Even though I have only been there twice, I feel at home there. It is peaceful, relaxing, and welcoming. Not to mention the food is delicious, which is like the icing on the cake for me. 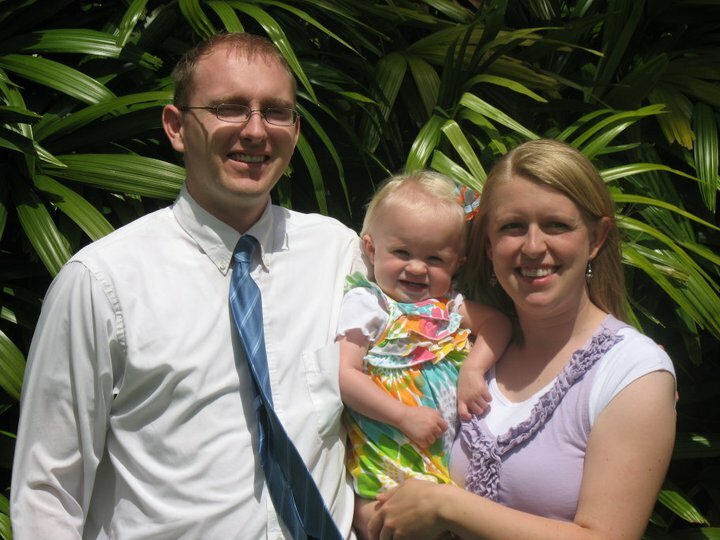 My little family in Hawaii five years ago. During my first visit to Hawaii, I attended a family-style Luau on the island of Oahu. The Luau was held at the Polynesian Cultural Center. We ate traditional Kalua Pua’a (roast pig) as well as other foods you would expect at a Luau. However, there was one food that really surprised me. They served purple--the color of lavender purple--rolls! I soon discovered that the rolls were made with taro, a starchy, root vegetable grown and used in Hawaii. Taro is also grown and used in other tropical locations around the world. It grows well in deep, damp, and even swampy soil where the climate is warm and moist. It is one of the few crops (like rice) that can grow in fields that are flooded. 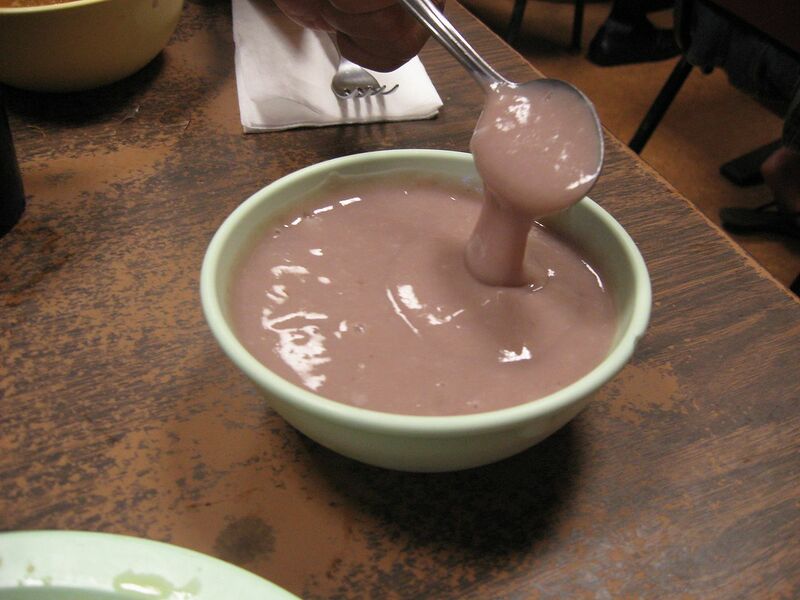 The most traditional form of Taro eaten in Hawaii is a dish called “poi”. 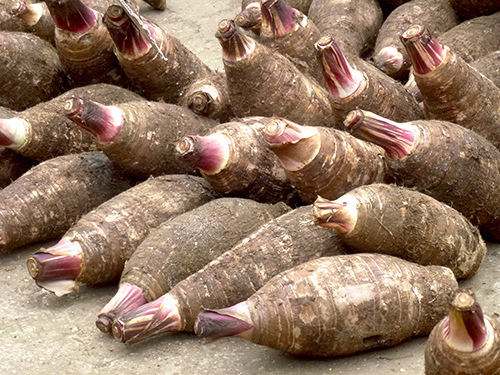 To make poi, you start with raw taro root. You grind the taro, cook it, and then mash it. A little bit of water is added and mixed with the mashed taro. You continue adding small amounts of water and mixing it until it is the desired consistency. Poi was an important part of Hawaiian traditional cuisine. Ancient Hawaiians believed that taro root, or kalo, was the original ancestor of the Hawaiian people. Whenever poi was served at meal times, it was believed that the spirit of Hāloa, the legendary ancestor of the Hawaiian people, was there. Nutritionally, poi was very helpful to the Hawaiians as well. It is rich in calcium, potassium, phosphorous, and magnesium. It is high in vitamin A, B, and C and low in fat. There are fewer calories in a cup of poi than there are in a cup of rice. It is considered one of the healthiest starches on the planet. Today, poi is still served and it is commonly used in Hawaiian bread recipes. I did learn that although poi has a natural purple color, many modern Hawaiian recipes also include purple food coloring to enhance the color. It may be difficult to find taro if you aren’t in a tropical location. (I did find 10 lbs of taro on Amazon for $25). Just in case you do come across some taro root, you will want to try this delicious taro roll recipe from the Polynesian Cultural Center. Aloha! 1) In a Kitchen aid mixing bowl, combine egg, butter, food coloring, poi and water. 2) Add dry ingredients to wet ingredients. 3) Mix all ingredients on speed 2 with a dough hook; texture should be smooth. 4) Remove from mixing bowl and place on flour table top; scale 3 oz. Dough and roll into ball size. 5) Line baking pan with aluminum foil and place roll taro balls 3x4. 6) Set aside to rise for 15-20 minutes. 7) Bake at 225 degrees for 20 minutes.